Hi, my name is Alexander and love to customize and optimize WordPress sites. As a WordPress fan, web enthusiast & freelancer I provide cost efficient & reliable WordPress services for more than 10 years. I have established team to meet all your design & programming requirements. I believe that WordPress is currently the perfect web platform for entrepreneurs, professionals as well as small & medium businesses. Also I work with e-commerce solutions like WooCommerce and Shopify helping your business to grow and get more happy customers. To help you build effective web presence using the Open Source WordPress platform in a time & cost efficient method. Delivering advantages of the Open Source Software & its community to the Small & Medium Businesses. 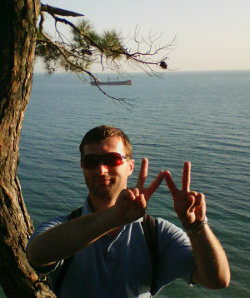 I live in Kharkov, Ukraine & enjoy my life with my family, WordPress, Linux, bike, hiking & cats. If you have any questions please contact me now.